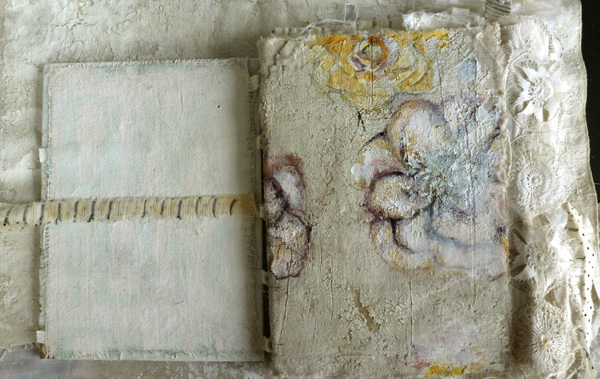 In this workshop we will make a 4 signature book (8" x 11") using fabric and plaster. 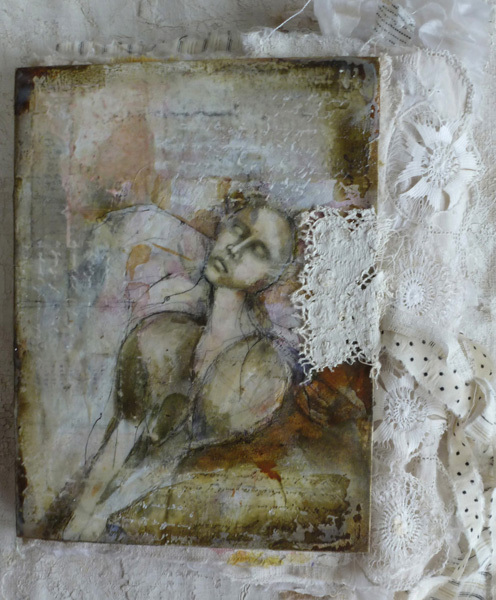 I demonstrate how to create the plaster fabric wings with wired detail which will wrap around the book. Techniques demonstrating mark making using paint, graphite, charcoal, linseed oil and some oil paints on various substrates. 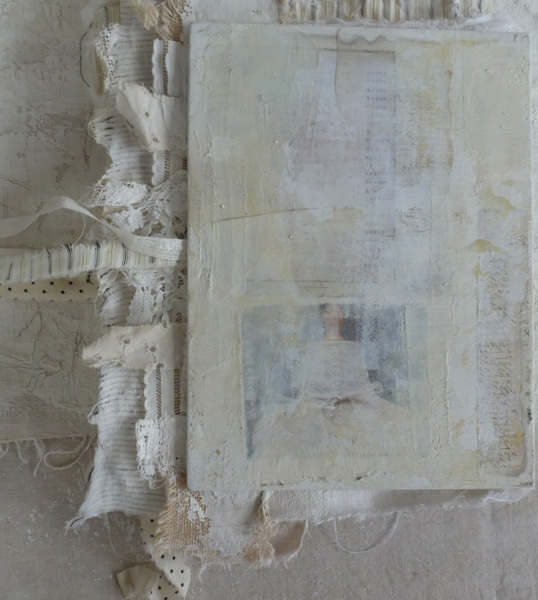 Combining these bits of fabric, paper with our mark making samples can be bundled and stitched into our books. Wire techniques will be included to incorporate into the wings as well as design elements. I will demonstrate how to do several book spreads with such techniques as image transfers.